The annual Goat and Hair Sheep Field Day will be held on Saturday, April 27, 2019, at the Langston University Goat Farm with registration beginning at 8:00 a.m. This year's theme will be Holistic Approach and our featured speakers will be Ms. Gianaclis Caldwell and Dr. Ann Wells. Save the date! The 2019 Women In Leadership Luncheon will be Wednesday, May 1, 2019. The Langston University Commencement Ceremony will be held on Saturday, May 18, 2019, at 10:00 a.m. at the W.E. Anderson Stadium. All graduates are asked to arrive by 8:00 a.m. and report to the I.W. Young Auditorium. Langston University's First High School Band Camp will be July 14-20, 2019! 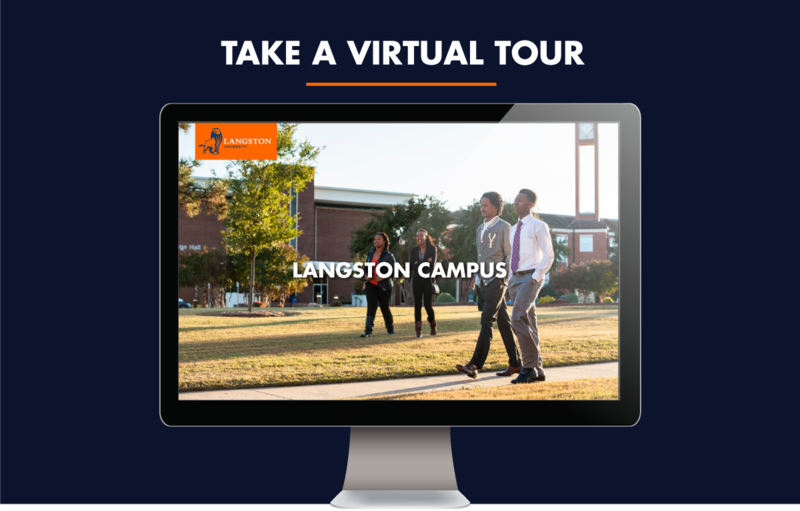 Contact (405) 466-3418 or mark.gordon@langston.edu for more information. Langston’s Tulsa campus is a state-of-the-art facility in the historic—and newly revitalized—Greenwood District, which was once known as “Black Wall Street.” This campus offers a variety of courses from Langston’s degree programs. Our OKC campus provides an adult learning environment offering day, evening and weekend classes, with upper division courses in seven programs at the baccalaureate level and two programs leading to a master degree. Home of the renowned E. (Kika) de la Garza American Institute for Goat Research, our Ag Research department has state-of-the-art facilities for teaching, research and student experiential learning.